We’re not gonna dress this up. 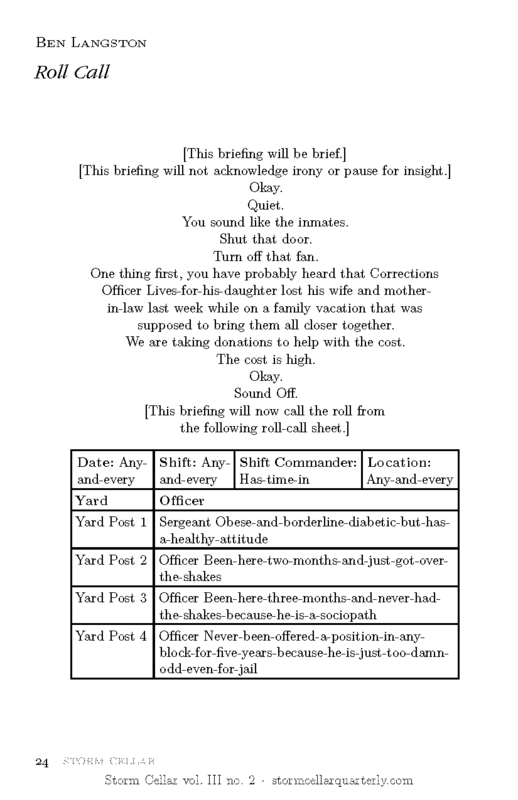 You wanted to read about the prison system, and you wanted a laugh. This is creative nonfiction: Ben Langston’s “Roll Call,” from the new SC 3.2 (get the issue proper: print, .pdf). Previous Post SC vol. III no. 2 OUT NOW!